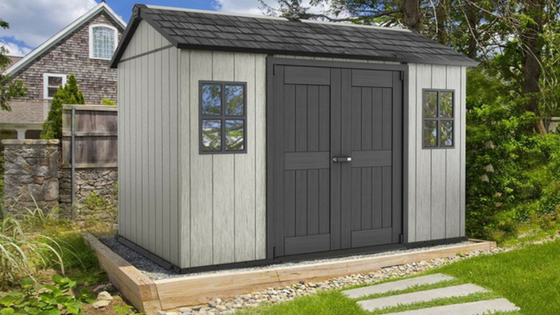 Lifetime’s extra large outdoor storage sheds constitute steel reinforced chunky fascia panels weatherproofed with rot resistant polyethylene, successfully vanquishing the duty of wood-preserving. 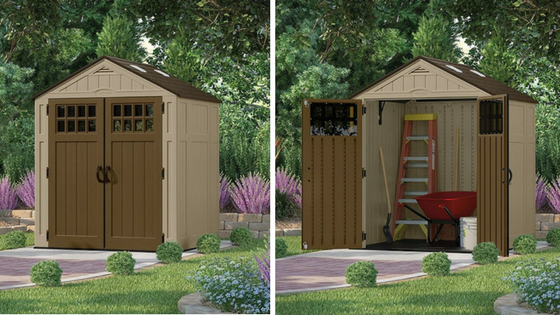 7 ft wide Lifetime plastic storage sheds are available in 4 lengths. 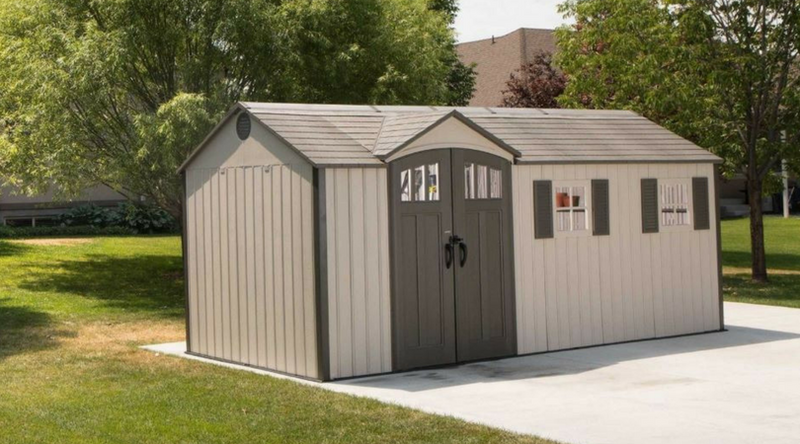 Robustly built, their steel reinforced fascia panels are not susceptible to weather depreciation, retiring maintenance to nothing more than a wash. 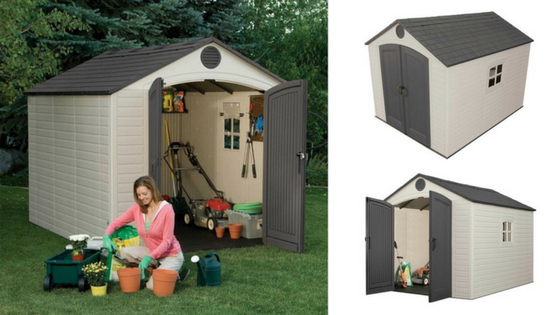 The Scala range of small plastic garden sheds embodies an apex roof structure with a 6 ft breadth. Manufactured in 5 ft or 8 ft depths their weatherproof resin supersedes conservation headaches, virtue of an easygoing shower-down. 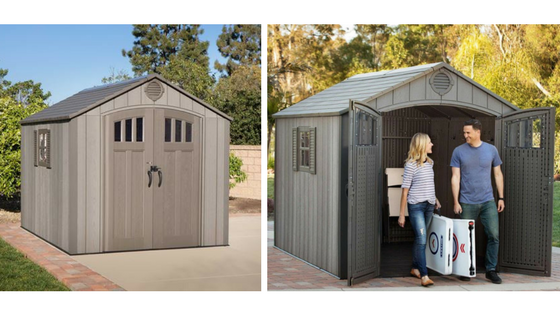 Lifetime’s groundbreaking resin innovation termed ‘rough cut’ intensifies the weather-resistant shed competition by simulating the charm of rustic wooden appearances in remarkable detail. 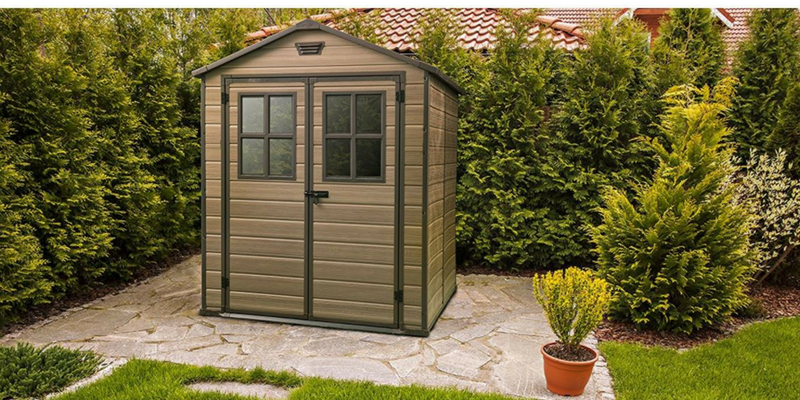 If you’re searching for a substantial rot-proof outdoor resin storage shed 8 x 10 feet, this newly designed sturdy construction is worth examining. 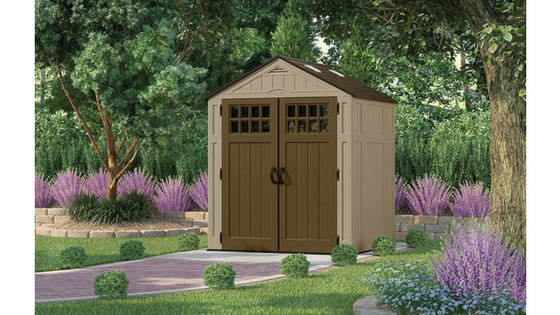 Lifetime storage shed 8×10 constitutes a robust weather-resistant make-up designed to protect a conglomerate of outdoor stuff along with an admirably stylish presentation in order to pleasantly enrich a garden’s scenery with stylish accents and neutral tones. 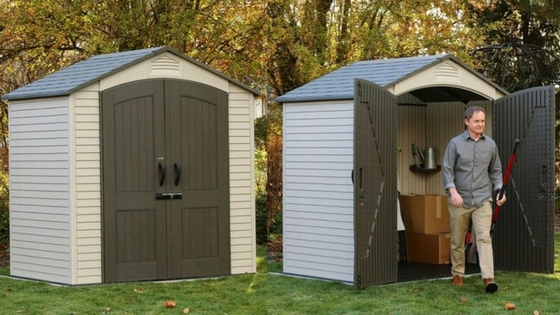 Everett’s group of outdoor plastic storage sheds embrace a 6 ft width span of imperishable polypropylene to withstand fickle weather forces meanwhile the three lengths extend from 3 to 8 feet enabling storehouse opportunities for various narrow garden placements. 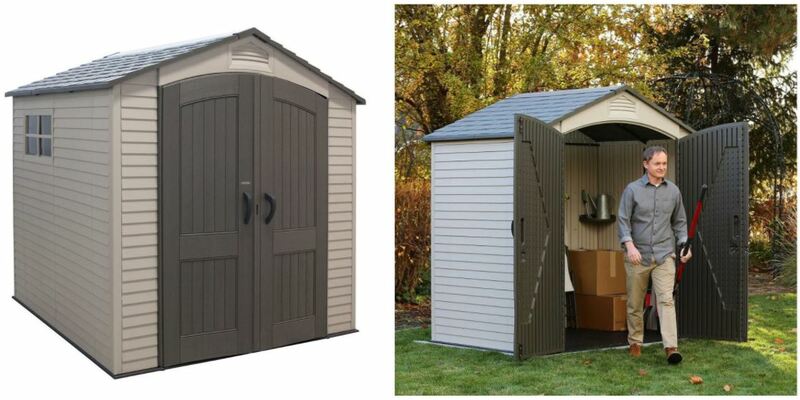 Everett’s low maintenance garden sheds constitute a make-up of polypropylene, a type of resin that craftily moulds to replicate strikingly elegant wooden presentations meanwhile conveniently subsists against all-season weather deterioration. 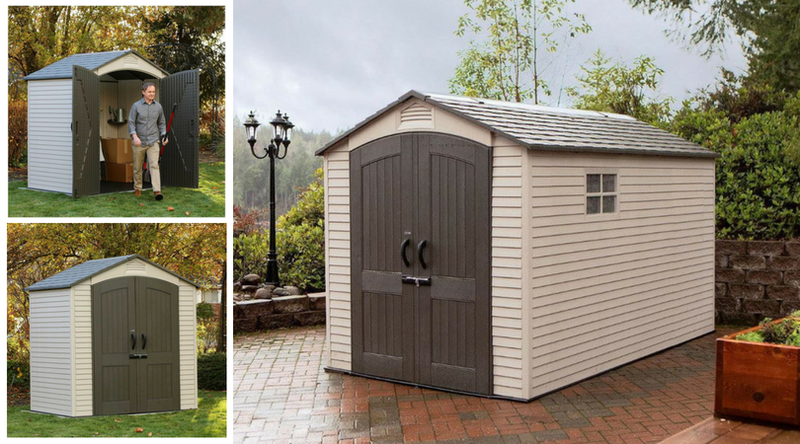 Lifetime’s 7 feet wide small outdoor plastic sheds deliver an imperishable construction manufactured with High Density Polyethylene reinforced around steel supports. Side-stepping conservation troubles superseded with durability, the weather-resistant composition only requires a swift hose down to maintain appearances.